Kurt Vile’s b’lieve i’m goin down is his sixth solo album, this one contains more of a folk rock vibe with more banjo and piano included as opposed to his other albums, the lyrics have a deeper meaning to them than what they appear as. My favorite song has to be “life like this” for the instrumental as well as the lyrics that seem almost mesmerizing with the repetition. Vile is the former guitarist for war on drugs. His music seems to be influenced by the 70’s relaxed style along with Bob Dylan when it comes to lyrics. This album is a 8.5 out of 10 for the influences that are used with the instruments as well as the lyrics that makes b’lieve I’m goin down seem like it must be listened to at the dark hours of night to get the more somber effect. 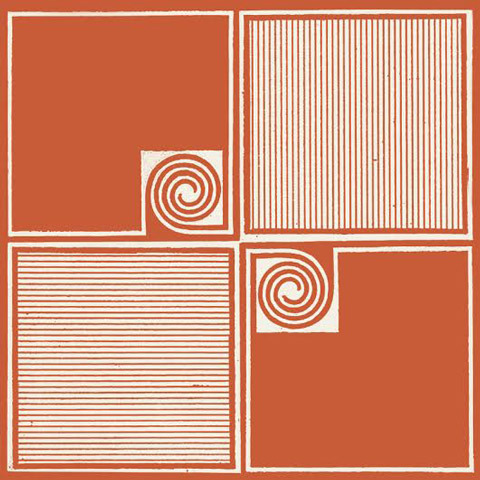 ‘Worship The Sun’, the sophomore album from Los Angeles natives Allah-Las, is a renewing but innovative take on the psychedelic era that gives the listener a break from the rushed standards of today’s world; possibly making it one of the best albums of 2014. Like their 2011 self-titled break out album, ‘Worship’ is filled with slick guitar licks and colorful rhythms. They offer a dominate lead guitar that doesn’t drown out the nostalgic lyrics, which are just as smooth as the music itself. It is hard to describe the album without using words like “fun” or “blissful”, but these elements melted together serves as the perfect combination for an album pulsing with beachy vibes. As someone who did not grow up in the 60’s (or even by a beach for that matter), it is easy to appreciate the veering rifts and even simplicity ‘Worship The Sun’ presents. The album does not fall into the trap of creating a false image of the 60’s, nor is it filled with truisms. They effectively feature a few instrumental tracks such as ‘No Werewolf’ and ‘Ferus Gallery’ without pressuring the listener to skip the track, which is a huge feat for a society anticipating catchy pop-lyrics to sing along to. One of the albums greatest tracks ‘Every Girl’ has a strong Fleshtones feel to it, but is shaped enough to sound new. Allah-las is not trying to trick the audience into thinking they are really a 60’s band, but grows an often misrepresented genre. You can’t feel anything but good while listening to them. It is like they continue to progress while slightly peaking back.